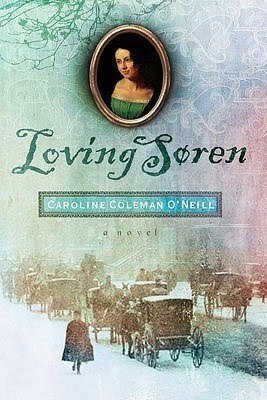 Set in Copenhagen and the Danish West Indies in the mid-nineteenth century, Loving Soren is the true story of Danish philosopher Soren Kierkegaard, told from the point of view of his fiancee. It is about a woman who tries to save a man from himself, and ends up losing her self in the process. And it raises the issue: can you ever get over your first love? A historical novel of faith, love and identity about one of the most regarded philosophers of the modern era. This book is the best way to learn about the life and the work of the genius poet and philosopher Soren Kierkegaard. It is also a story about a woman torn between two men, the one handsome, loving and almost perfect, the other strange and subject to despondent moods, but with the special magnetism some men have on a particular woman. Surprisingly, it is also a book of God, telling how His place in our lives is, in the end, our lifeline to sanity and wisdom. It is complex, yet very well-written, the characters sometimes tortured, sometimes believing, but always real. So real, that maybe you will recognize yourself in some aspects of their personalities and lives. I certainly did.